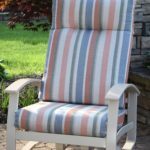 How much you invest in furniture matters more than you may think, especially when it comes to outdoor furniture. The Telescope Deep Cushion Swivel Rocker is a prime example of a good investment that is built to provide lasting comfort. Folks just instantly relax when they settle in, even the “big and tall” guys. 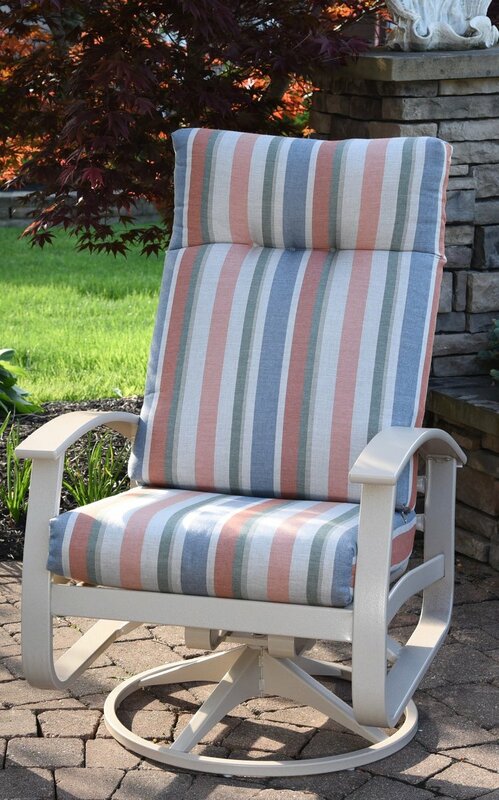 Many people don’t realize that quality outdoor furniture costs more than comparable indoor furniture because it has to be made of materials that can survive the outdoor environment. 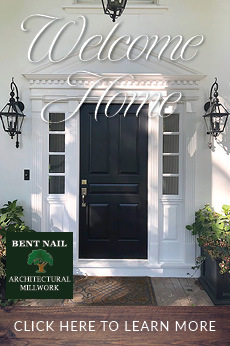 This beauty is American made of marine grade polymer and outdoor fabric that is designed to last for decades of sunsets, making it worth your dollar. Check out the products grand champion grillers use for competition grilling. The Place has all of your quintessential barbecue needs. 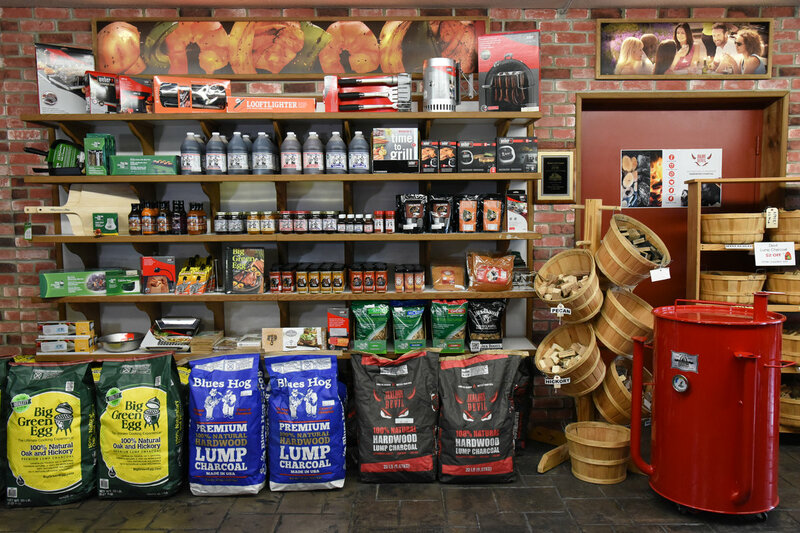 From Blues Hog BBQ Sauce to Weber’s iGrill temperature probes for easy monitoring from your cell phone, The Place has it all. 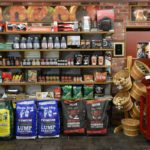 Also be sure to check out their selection of BBQ Superstore’s specialty rubs, sauces and marinades, multiple brands of lump charcoal, a dozen different flavors of fresh wood chunks for smoking, wood chips, favored pellets and more. Whether you need a new fire table or just want to spruce up your old one, The Place can help. This beautiful silver tiger granite fire table can accommodate dual propane tanks or be upgraded to natural gas. 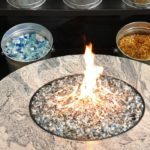 At The Place you can also choose from their large selection of high temperature fire glass that comes in wide array of colors, ensuring you’ll be able to find one that best compliments your outdoor décor. 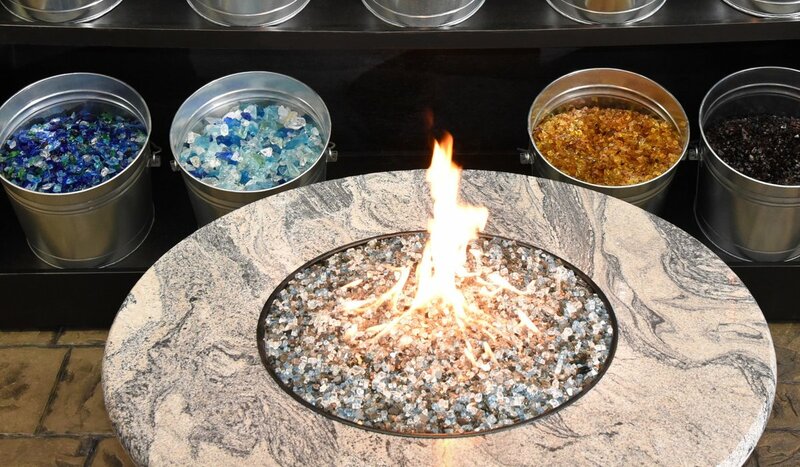 The fire glass is an ideal replacement for outdated ceramic logs and lava rocks. 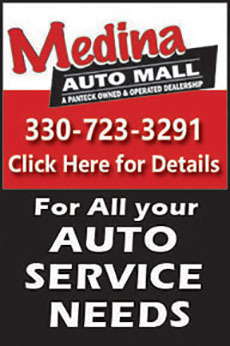 Plus, you can buy just what you need, by the pound or in bulk.